Bishop Charles W. Johnson has had the call of God on his life since the tender age of 12. The son of an Apostolic Pastor, he has served in ministry all his life. He operates in a resident anointing and carries the mantel of a prophet. He is determined to preach purpose and destiny into the lives of Gods people, helping them to reach their maximum potential in God. Bishop Johnson attended Winston-Salem State University from 1988-1991 with a major in Mass Communications. 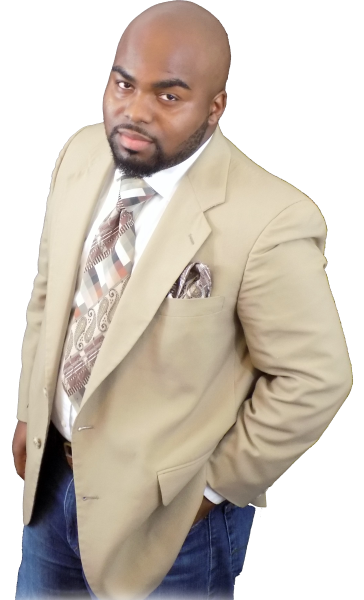 He became a licensed minister in October 1990 and within two years, was ordained Elder by the Board of Presbytery of the Greater Churches of Deliverance Inc., under the headship of Bishop Freddie B. Marshall, Winston-Salem NC. He served faithfully in many leadership roles such as Chief Adjutant to the Presiding Prelate, Sunday School Teacher, Christian Education Coordinator, and National Chairman of the Ministerial Alliance for the GCOD. He later relocated to Raleigh NC and served at The River Church under the headship of Bishop Joby and Pastor Sheryl Brady. In 2001 he was hired as full-time Pastoral Care staff of The River Church and became the extended hands of his pastors. He conducted funerals, weddings, hospital visits, prison ministry, member and visitor outreach, and Youth Pastor. After a divine impartation from his leaders, he was led back into the vineyard to begin The Well Church in 2003. 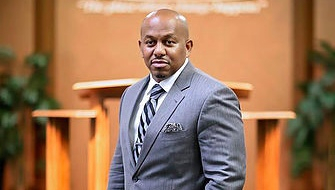 After serving faithfully as a spiritual son to Bishop Bloomer, he was surprisingly appointed Bishop-Elect in June 2006 at the National Holy Convocation of CLURT Assemblies in Douglas, Georgia. He was fully ordained to the sacred office of Bishop in June 2007 and presently serves on the board of Bishops for the organization.